Niels Karl (Duke) Winsor received his PhD from Princeton in astrophysical sciences, an MA from Dartmouth in physics and astronomy, and bachelors degrees in physics and mathematics from MIT. His thesis research at Princeton concentrated on controlled nuclear fusion. 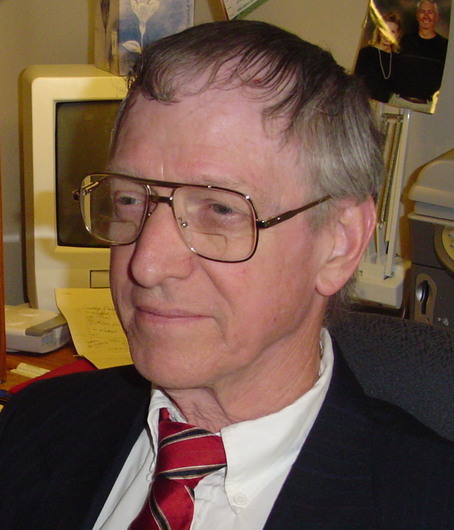 In a career devoted to applying physical theory and computation to new applications, Dr. Winsor has produced surprising and useful results in areas including energy storage, very high power energy transfer, underwater directed energy, acoustic propagation in shallow underwater channels, and pattern recognition using artificial intelligence. After completing his PhD, Duke was invited to join the staff of Princeton University. From there, he went to the U. S. Naval Research Laboratory where he was head of the computational physics section. He has since worked or consulted for General Dynamics, Oak Ridge National Laboratory, the University of Maryland, and several smaller high tech companies. Duke's diversions include flying (Private and Commercial pilot's licenses), radio (Amateur and 1st Class Commercial licenses), and markmanship (CCP). He lives in Albuquerque with his teen-aged son and daughter. This page was last edited on 5 September 2010, at 16:33.